The upcoming Air Jordan Legacy 312 will be dropped in the honor of MJ’s historic rookie season and a famous outfit that he wore when he received the ROY award. Designed by Don C, this particular shoe basically comes covered in a Gold Harvest, Black, and Sail color scheme. The shoe has been further decorated with Nike branding on the tongues and strap accompanied by elephant print overlays that wraps up the design altogether. 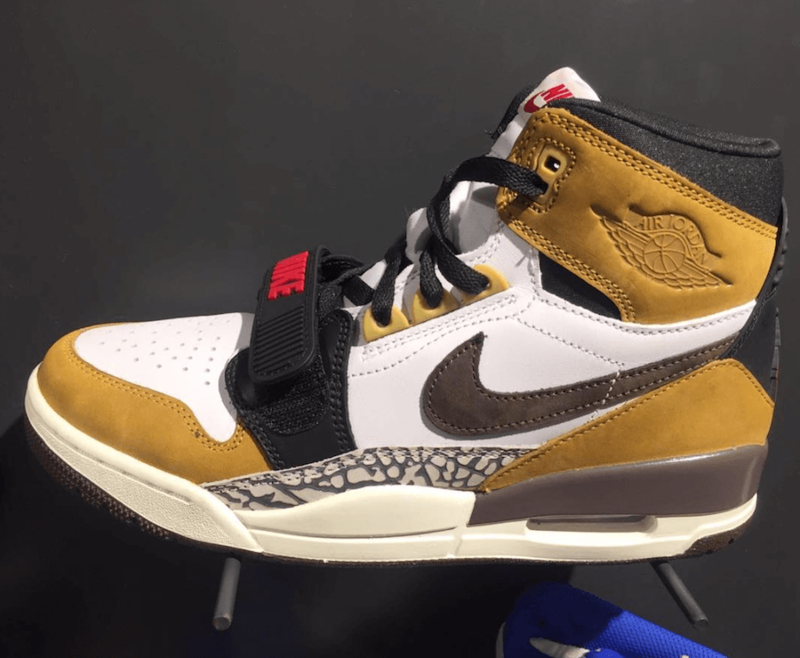 Retailing for 150$, check out an image below and expect the Air Jordan Legacy 312 to hit up the market during the coming weeks while one can already grab a pair in Hong Kong at any select Jordan Brand retailers.